Prep previews always get the fall varsity spirit going! From that set of schools find 24 runners – 12 of each gender – and factor distance track results into the equation. Form an assessment of The Truth after you see where things stand. Bonus points if you find the process to be similar to another process. CENTRAL Senior Blake Boles is a two-time individual state meet qualifier with 52nd and 81st place finishes in each of the last two cross country seasons. He placed 5th in a competitive 2017 Greater Metro Conference meet behind fellow top returnees Ben Schnoor of Germantown and Henry Wellenstein of Wauwatosa East only to improve on his cross country campaign with a 13th place finish in the 3200 Meter Run at the D1 State Meet in track this past spring. Blake Boles holds notable distance bests of 9:35.45 (3200) and 16:13.1 (5k) respectively and has shown 10-15 second improvements across the 3200 and 5k spectrum from sophomore to junior year. In addition Boles carried significant roles in Brookfield Central 4x800 Meter Relay bids during the 2018 championship track season. Boles has an on-going competitive rivalry with senior Henry Wellenstein of Wauwatosa East for top conference honors behind Germantown's Ben Schnoor. HOMESTEAD Senior Drew Bosley is a second-generation distance runner who as an underclassmen succeeded his father Andy Bosley's standards of excellence on the Homestead school record boards. Homestead head coach Andy Bosley held state champion PRs of 4:11.22 (1600) and 9:02.32 (3200) from his senior season in track and a personal-best of 15:35 in the cross country 5k that highlights an era-dominant string of three 3rd place finishes from the 1989 to 1991 D1 State Meets. 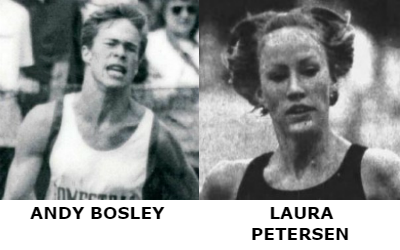 While Andy Bosley notched an All-American honor in high school track and several as a Wisconsin Badger Drew's mother, Laura Petersen, was a national champion at UW-Parkside in the 800 meters as well. Poised to be a national contender for the second year in a row Drew Bosley tallied two 7th place All-American finishes at each of the NXN (15:24.5) and Footlocker (15:41.9) High School National Championships last fall capping one of the best ever individual seasons in Wisconsin state history. He trained through but ensured the win at last year's D1 State Meet (15:39.9) over a very strong chase pack after finishing 2nd (15:38.8) as a sophomore and 7th (16:13.5) as a freshman. To supplement his high honors in cross country the Homestead senior-to-be toured the 1600 and 3200 distances in 4:07.38y and 8:59.04 on the track last spring not only eclipsing his father's Homestead school records but also casting himself as a dominant runner of the era through winning three state distance running titles during the 2017-2018 school year. In addition to Drew Bosley's success there have been personal trials along the way. 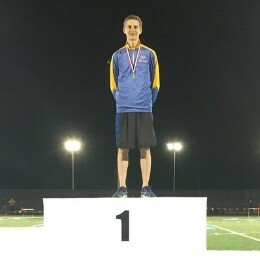 The 3200 season best Bosley ran to as a sophomore is a hallmark of his perseverance and patience as he patched this perfomance together during a post-season meet in Lisle, IL after experiencing setbacks most of the spring. An above average underclassmen but below Drew-average result at the 2017 D1 State Meet (4:27.55/9:17.82) did not stop him from slashing 12-seconds off of his previous personal best and finishing with a national caliber time of 9:05.44. This mark is also the fastest 3200 ever recorded by a sophomore in Wisconsin state history and reduced Chris Solinsky's 9:08.44 sophomore best (2001) by exactly 3-seconds. Overall look at Drew Bosley's freshman to junior year progressions (below) to see a steady line of improvement despite entering high school at an extremely high level. Drew Bosley was crowned as the USATF Junior National Champion in the 5000 Meter Run (14:32.75) in late June, possesses two All-American finishes in cross country, has garnered three individual WIAA state championships, run to three national finals through regional qualifying races in cross country and is both a 9-time state qualifier and 10-time North Shore Conference champion. He is ranked quite high on a short list of all-time Wisconsin cross country greats and has a senior season awaiting! PHOTO BELOW: Drew Bosley pulling away from an elite chase pack to win the D1 State Meet last fall. EAST TROY Senior Henry Chapman is a key transfer to Division 2 East Troy. Previously at Arrowhead Chapman left off as the Warhawks lone qualifier for the D1 State Meet last fall and he finished 14th overall to improve on a 61st place as a sophomore. He was the Classic Eight Conference runner-up (16:19.95) and holds a 5k PR of 15:52.4 from the Eagle Invitational at UW-Parkside in 2017. Competing for the Trojans after the WIAA-approved transfer took place this past spring Henry Chapman was 8th and 2nd in the D2 State Meet 1600 Meter Run and 3200 Meter Run competitions respectively. Coupled with a highly touted set of personal bests on the track at 4:16.79y and 9:22.28 his 14th place in finish at the D1 State Meet last year should make him the unanimous favorite to win the individual D2 crown this season. BEAVER DAM Sophomore Gavin Czarnecki was the second freshman to cross the line at the D1 State Meet last fall with a 55th place finish in 16:46.31 improving from a 3rd in the Badger North Conference at just over 17-minutes. He completed a very elite freshman year recording personal bests of 55.83 (400), 2:00.69 (800) and 4:29.54y (1600) all of which are a testament to his raw running ability and add to his strong 16:35.1 best at the cross country 5k distance. An implied but compelling statistical consensus shows that Gavin Czarnecki was one of the best freshman distance runners in the state of Wisconsin last year. He will compete alongside senior teammate Cade Ferron who is another top name this season. ARROWHEAD Senior Elijah Devries will attempt to lead the Arrowhead Warhawks cross country team on a redemptive journey back to the state meet after surprisingly finishing out of a bid at the end of last season. The 2017 Classic Eight individual champion in cross country holds an endurance heavy set of personal distance bests ranging from 4:26.73y (1600) to 9:29.06 (3200) to 15:46.3 (5k) which is highlighted by his 10th place state meet effort in the 3200 this past spring. He was 98th at the state cross country meet as a sophomore but went on to record an 85th place finish at the Nike Heartland Regional (16:10.7) at the end of that year. Chapman placed 49th as a freshman and was 4th (16:26.7) at the 2015 Classic Eight Conference Meet. 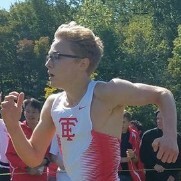 The 2017 Classic Eight Runner-up--to then teammate Henry Chapman now competing for East Troy--finished 14th at the D1 State Meet indicating that Devries was building up to a top-15 finish last fall before the fluke Sectional Result. WHITEFISH BAY Senior Eli Dyer is the third returnee among the powerful North Shore Conference individual competition this year behind national standout Homestead senior Drew Bosley and Nicolet junior Nick Holmes. After finishing 7th last fall in the conference meet he followed that up with a 49thplace finish at the 2017 D1 State Meet. His current personal best for 5k is 16:21.6. Beyond Eli Dyer's demonstrated ability in cross country are his standout times of 4:17.17y and 9:30.32 on the track this past spring and his season highlight was a 7th place finish (4:17.90) against a deep D1 field in the 1600 Meter Run. Dyer showed tremendous improvement from his 4:35.24 (1600), 10:02.70 (3200) and 17:24.8 (5k) sophomore times during the 2016-2017 school year. BEAVER DAM Senior Cade Ferron finished 17th at the D1 State Meet last season (16:21.1) and is the reigning Badger North Conference Champion in cross country and at 800 Meters and 1600 Meters respectively. 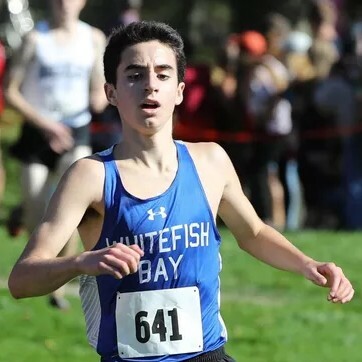 His distance runner repertoire exhibits a strong range from 2:01.31 open 800 Meter ability to 15:55.5 in the 5k and is highlighted by 4:21.65 1600 Meter foot speed which resulted in an 11th place finish at the D1 State Meet this past spring. He also recorded 9:41.43 for the 3200 Meter Run in the 2018 track season and was 82nd at last years Nike Heartland Regional in Yankton, South Dakota to close out cross country. Cade Ferron has shown marked improvement from his sophomore times of 4:31.42 (1600), 9:54.91 (3200) and 16:39.7(5k) to junior year and will compete alongside up and coming sophomore Gavin Czarnecki for the Beaver Dam team lead this fall. 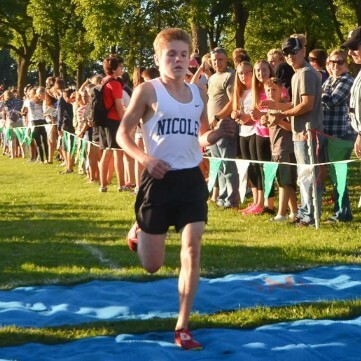 NICOLET Junior Nick Holmes is an accomplished triathlete whose distance running ability has held him as a highly regarded North Shore runner since early in his high school career. In 2016 as a freshman he ran 16:20.8 in the opening weeks of the season and followed up with 7th and 47th place finishes in the NSC and D1 State Meet (16:40) competitions. Last year he showed signs of improvement moving up to 4th and 26th (16:32) in those same meets respectively. Nick Holmes showcases an excellent range of underclassmen personal bests from 1600 (4:31.47) to 3200 (9:34.55) to 5k (16:01.2) and while it may currently show his ability increases with distance state history has provided a similar typology of underclassmen who went on to become all-time greats in the mid-distances of track too. This is a strong competitor who will continue to push the competition in the NSC and help reinforce its strength distance at the state meet. MUKWONAGO Senior Ian Nadolski has built up momentum for Mukwonago distance fans after his 64th and 37th place finishes at the Division 1 state meets each of the last two seasons. Nadolski has been a strong competitor in the Classic Eight Conference since his sophomore year onward. 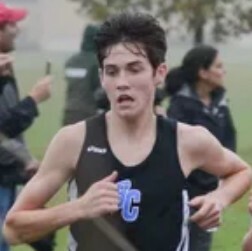 In 2016 he was the Classic Eight runner-up with a time of 16:08.9 and despite slipping to 3rd as a junior (16:20.2 on a different course) he eclipsed his 10th-grade PR with a 16:08-flat during the middle of last season and improved nearly thirty spots from his sophomore effort at the state meet. Ian Nadolski is a two-time individual state meet qualifier in cross country who holds personal bests of 4:25.64 (1600), 9:30.38 (3200) and 16:08 (5k). His championship experience is padded with two individual state meet qualifiers in track and an 11th place individual finish in the Division 1 3200 Meter Run this past spring. GERMANTOWN Junior Ben Schnoor had a spectacular tenth grade year where he finished top ten in the D1 State Meet (6th) in cross country and then followed up that performance with a key 3200 Meter Run under the 9:20-barrier (9:18.06) which uniformly etches his name among an elite group of all-time sophomore distance runners in Wisconsin state history. His improvement of 20-seconds from his freshman to sophomore years (9:42.87-9:18.07) signifies an upswing potential in his development and perhaps the ability to contend not only at the top of the state but also on the regional and national levels too. Ben Schnoor is a dominant Greater Metro Conference figure as the defending champion in Cross Country and at 3200 Meters. He holds a 5k PR of 15:44.8 from his 61st place finish at the Nike Heartland Regional last November. OCONOMOWOC Junior Alexander Vance of Oconomowoc was a 9:55.33 freshman talent that put up strong back-to-back cross country campaigns as an underclassmen. Last year he notched a 32nd place individual finish at the D1 State Meet after finishing 4th at the 2017 Classic Eight Conference Meet behind Elijah Devries and Henry Chapman of Arrowhead and Mukwonago's Ian Nadolski. Vance temporarily surpassed Devries who didn't qualify for the state meet and then beat conference foe Nadolski in Wisconsin Rapids. 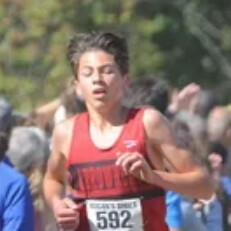 In a major 2016 D1 Beloit Memorial Sectional showdown between state ranked teams and star-studded individuals Vance rounded out a stellar freshman season in 2016 with a 16:21.3 to place 11th and nearly qualified for the state meet as an individual. 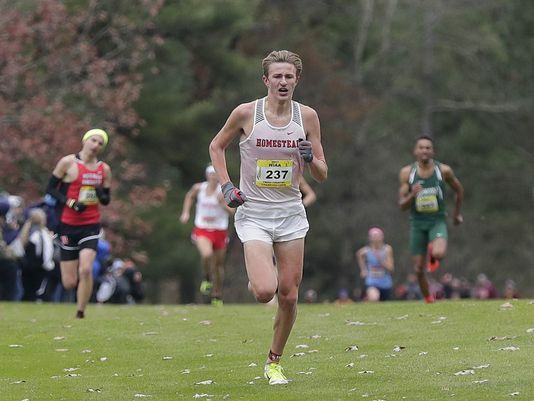 This marked significant improvement from his already notable 10th place finish in the last Wisconsin Little Ten competition and a series of in-season sub-17 minute performances. Alexander Vance currently holds personal bests of 4:40.32i and 9:46.58 in track and 16:19 in the 5k respectively. TOSA EAST Senior Henry Wellenstein finished 44th at the 2017 D1 State Meet. He is the second returning finisher in Greater Metro Conference competition behind Ben Schnoor after he finished 4th last fall. On the track he ran 9:45.08 at the GMC outdoor championships to again place second behind Germantown's Ben Schnoor (9:39.63) and narrowly beat out conference foe Blake Boles of Brookfield Central 9:45.08 to 9:46.11. Wellenstein qualified individually for state track meet last spring winning the D1 West Allis Central Sectional and closed out the spring track season as a member of the Wauwatosa East 7th place 3200-Meter Relay team at the state meet. Wellenstein will battle Brookfield Central's Blake Boles this season for additional conference accolades. 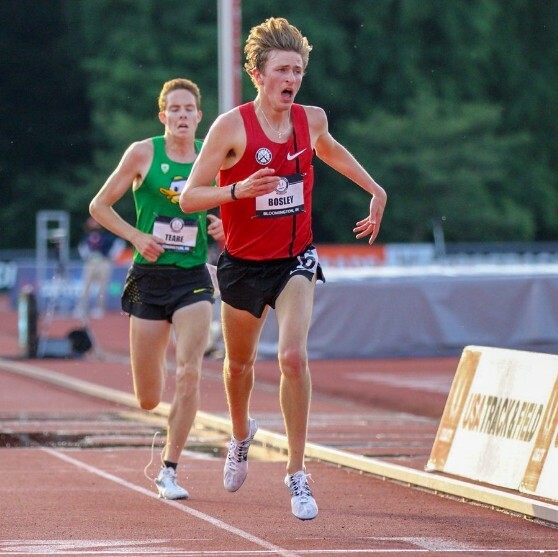 Henry Wellenstain holds PRs of 4:30.28y (1600), 9:45.08 (3200) and 16:21.3 (5k) respectively. These selections should represent where distance runners stand on the current scene including both cross country and track. It should reflect win-loss records of individual rivalries in some capacity and may include a variety of other recalculated factors. While the majority of ranked positions emphasize the importance of the state meet there are occurrences when an athlete deserves a bump in the rankings if their state meet performance does not reflect the rest of their season. It was hard to narrow the above set of Milwaukee area names without accumulating a subset of near misses. Here is bank of names worthy of mention that showed up in all the comparisons and their PRs. Warning: Do not translate this as a “list by PR” as it is not. It is only a list that helped with the above narrowing. SLINGER Senior Paige Fassbender is the defending North Shore Conference cross country champion (19:43.0) and last year helped the Lady Owls qualify as a team for the 2017 D1 State Meet where she finished 37th (19:42.1) individually. As the 22nd returnee in D1 competition Fassbender will be part of a strong top duo for the Slinger girls team with fellow Runner to Watch Makaila Groves. She owns a personal best of 19:10.2 for the cross country 5k. 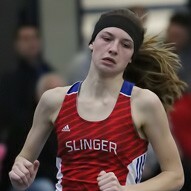 On the track Paige Fassbender is a decorated middle distance star who has twice been an individual state qualifier in the 1600 Meter Run and three more times as a Slinger 4x400 and 4x800 Meter Relay member. Fassbender's spring season highlights include an indoor NSC title at 3200 Meters (12:01.31) and an outdoor lead off role for the Lady Owls 4x800 Meter Relay team that placed 11th at the D1 State Meet (9:36.23). Prior to the dissolution of the Wisconsin Little Ten she was its final conference champion at 1600 and 3200 Meters. She owns bests of 60.93 (400), 2:22.89 (800), 5:11.03 (1600) and 11:36.54 (3200). MUSKEGO Sophomore McKayla Felton ran to a 31st place finish at the 2017 D1 State Meet in a personal best time of 19:37.3 and crossed the line fourth for team runner-up Muskego. 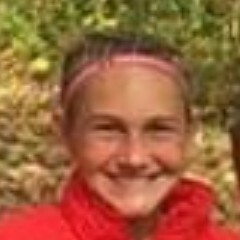 To secure a position on the state meet team last fall Felton ran to a runner-up finish (20:08.2) in the Classic Eight Conference JV cross country race and helped showcase a spectacular 1-2-3 Muskego freshman finish with twin teammates Maddie (1st, 20:07.2) and Ani Oxborough (3rd, 20:10.6). She will be a strong scorer for the Lady Warriors who are not only a compelling pre-season favorite for the state team title with their entire varsity runners returning but also will help Muskego maintain their status as one of the top high school girls cross country programs in the United States this season. McKayla Felton recorded a spring best of 2:27.05 in the 800 Meter Run and held roles in varsity 4x400 and 4x800 Meter Relays during the 2018 track season. PEWAUKEE Senior Zoe Goodmanson is the three-time defending Woodland Conference Champion in cross country and has finished in the top-30 at the D1 State Meet every season of her high school career thus far. Goodmanson finished 19th (19:21.3) as a freshman, 28th (19:25.7) as a sophomore and 17th (19:46.9) as a junior making her the 12th among all D1 returnees this year. Last fall she led the Lady Pirates to an 11th place finish at the state meet and they will return 5 of their seven this year. On the track Zoe Goodmanson is a three-time Woodland Conference Champion and has placed 13th (11:37.62) and 7th (11:14.47) in the D1 State Meet 3200 Meter Run each of the past two seasons. She carries with her a strong set of lifetime personal bests of 2:32.37 (800), 5:11.84 (1600),11:03.36 (3200) and 18:13.62 in the cross country 5k. SLINGER Senior Makaila Groves is a decorated middle distance star who rose to the occasion at the 2017 D1 State Meet placing 35th (19:40.8) and helped display the strength of the North Shore after finishing back in 8th (20:14.1) at the conference meet two weeks earlier. Groves won three invitationals last season, set a personal best of 19:13.7 at Greenfield Park and is the 20th among returnees in D1 competition this year. Along with fellow Runner to Watch Paige Fassbender she will try to help a Lady Owls team that returns 5 of their seven from last season qualify for the state meet again this fall. On the track this past spring Mikaila Groves anchored the Slinger 4x800 Meter Relay to an 11th place finish in a time of 9:36.23 on Day 1 of the D1 State Meet and came back on Day 2 to place 4th in the 800 Meters with a time of 2:15.33 bettering her own Slinger school record of 2:16.96 that she set with a 9th place finish in 2016. Groves is also the defending North Shore Conference Champion at 800 Meters ( 2:20.12) and 1600 Meters (5:22.19) respectively. 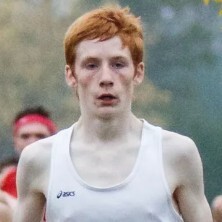 Prior to the dissolution of the Wisconsin Little Ten Conference Groves was a three-time individual champion in track and twice an all-conference honoree in cross country. On the track she holds career bests of 59.23 (400), 2:15.33 (800) and 5:20.84 (1600). MUSKEGO Junior Brittany Helm is the 11th among D1 returnees this fall after finishing 17th individually last season and crossing the line third for state team runner-up Muskego. Helm will help reinforce the overall strength of the Muskego Lady Warriors this fall which is not only a pre-season favorite for the state team title but also currently ranked as the #17 high school girls program in the United States. Her cross country resume is padded with a 30th place D1 State Meet finish in 2016, back-to-back 3rd place finishes in the powerful Classic Eight Conference and a lifetime best of 18:53.6 in the 5k. On the track Brittany Helm is a five-time state qualifier who tripled at the D1 State Meet this past spring. 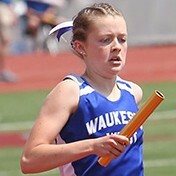 On Day 1 she led off a 2nd place 4x800 Meter Relay team that finished with a WI All-Time #9 performance of 9:13.35 (Helm-Sperka-Doerr-Jochims) and then doubled back later in the day with a 10thth place finish in the D1 3200 Meter Run where she established a personal best of 11:25.35. On Day 2 she ran in her third race of the weekend finishing 9th place in the 1600 Meter Run and setting yet another personal best of 5:06.80. MUSKEGO Senior Kate Jochims stood on the cross country podium for the third consecutive season after crossing the line 4th (18:24.4) at the 2017 D1 State Meet and helping the Muskego girls team to a second place team trophy. As a dominant individual runner of the era Jochims has shown continued progress from previous high level 2016 3rd (18:30.2) and 2015 10th (18:55.8) place finishes. The two-time Classic Eight Conference champion (2015, 2016) and 2017 runner-up rounded out an elite season placing 30th overall and third for Team Wisconsin in the Footlocker Midwest Regional behind two-time D2 state champion G-E-T junior Dana Fayen (18th) and Muskego teammate Kate Sperka (21st). 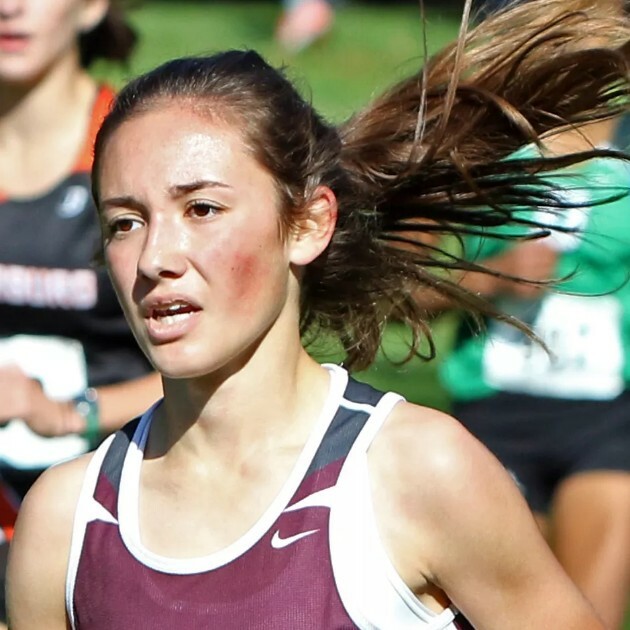 Together Jochims and Sperka showcase the star studded front-running ability of the Lady Warriors who are regarded as one of the top girls cross country teams in the United States this season. She owns a 5k personal best of 18:00.8 which she set at Greenfield Park in 2016. On the track Kate Jochims possesses a stellar set of lifetime bests at 2:22.49 (800), 4:55.09 (1600) and 10:47.07 (3200) that helped her claim three 2nd place medals and a series of historical marks at the D1 State Meet this past spring. On Day 1 Jochims anchored the 2nd place 4x800 Meter Relay team to a WI #9 all-time 9:13.35 performance (Helm-Sperka-Doerr-Jochims) and doubled back with a 2nd place in the 3200 Meter Run (10:47.07) which ranks as the WI #42 best mark in state history. On Day 2 she claimed 2nd place in the 1600 with a WI #29 all-time performance (4:55.09) adding a fifth state track medal to her career collection that includes hardware from a stellar double at the 2017 D1 State Meet where she placed 6th in the 1600 (5:04.83) and 3rd in the 3200 (10:59.40). 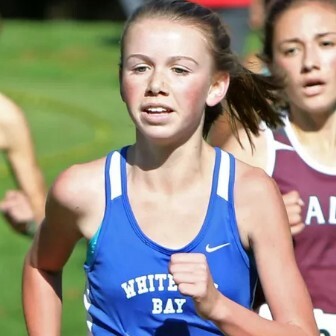 WHITEFISH BAY Junior Maggie Keiper is the 16th returnee among D1 competition this fall and has recorded back-to-back 27th place finishes in each of the past two seasons with times of 19:32.1(2016) and 19:23.2 (2017) respectively. Keiper was the North Shore Conference Runner-up in 2017 after placing 5th as a sophomore and holds a lifetime 5k best of 19:00.4. Adding to the variety of athletic types that find their way into the sport of cross country Maggie Keiper is a fiery attacker in the fast-growing sport of high school girls lacrosse. In the spring 2018 season Keiper was a main scoring threat for the state champion WSN Wolfpack which is a team comprised of students from Whitefish Bay, Nicolet and Shorewood high schools. WEST Senior Brooke Lytle is the 13th returnee in D1 competition this fall and has finished top-40 at the state cross country meet in all three of her high school seasons. The three-time all-conference runner from the talent laden Classic Eight conference placed 22nd in 2017 (19:26.7), 35th in 2016 (19:30.8) and 38th as a freshman in 2015 (19:46.5) helping the Lady Wolverines to top eight finishes in the team standings each of those respective years. Lytie holds a lifetime personal best of 19:06.8 in the cross country 5k. On the track Brooke Lytle is an all-state runner who not only shows excellent versatility in open events with lifetime bests of 2:15.75 (800), 5:15.07 (1600) and 11:12.06 (3200) but has also played key roles in continuing the strong Waukesha West mid-distance relay tradition at the state meet. Lytle ran third-legs for back-to-back state championship 4x800 Meter Relay teams in 2017 (9:15.90) and 2018 (9:09.54) and anchored the 2017 4th place (3:54.86) and 2018 2nd place (3:55.76 prelims) 4x400 Meter Relay teams for the Lady Wolverines. Each respective state meet relay squad Brooke Lytle has been a part of ranks among the top-25 all-time in Wisconsin State history. WEST Senior Allyssa Reeves showed a significant improvement as a distance runner on the track this past spring after maintaining sixth and seventh positions for the state qualifying Waukesha West girls cross country teams as a sophomore and junior. Reeves claimed the Classic Eight Conference 3200 Meter Run title indoors (11:57.00) and then reinforced her status outdoors completing a distance double that included a 5th place in the 1600 Meter Run (5:19.12) and runner-up in the 3200 Meter Run (11:34.96). A week later she went on to record her 3200 Meter Run personal best of 11:23.94 at the D1 West Allis Central Sectional and qualified individually for the D1 State Meet where she placed 17th. Having demonstrated an uptick in her development Allyssa Reeves will join junior teammate Kaya Kuokkanen to score key team points behind fellow Runner to Watch, senior Brooke Lytle, and attempt to lead a total of six returning Lady Wolverines back to the state meet to improve on their 5th place team finish last year. CEDARBURG Senior Jenna Short is the 26th returnee among D1 competition after placing 44th as an individual qualifier laster year. Short placed third in the North Shore Conference last year for her second straight NSC first-team all-conference selection and holds a lifetime 5k best of 19:04.7. Jenna Short also brings forth a competitive track resume as she placed 13th (5:14.27) in the 1600 and 8th (11:19.27) in the 3200 at the 2016 D1 State Meet and then 11th (5:11.09) in the 1600 Meter Run this past spring. She possesses a competitive set of lifetime personal bests on the track at 2:26.45 (800), 5:11.09 (1600), 11:19.27 (3200) respectively. 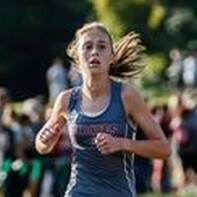 MUSKEGO Sophomore Kate Sperka experienced a sensational freshman cross country season last fall where she was the individual runner-up (18:06.0) and led Muskego to a second-place team trophy at the D1 State Meet. Sperka capped her elite season with an All-Midwest honor after placing 21st (18:12.9) at the Footlocker Midwest Regional last November. She is the reigning Classic Eight Conference champion and established both a 5k personal best and Muskego school record of 17:55.3 at UW-Parkside last season. Sperka is poised to be a state and regional contender this fall and will lead the nationally ranked Lady Warriors on a quest to win a much coveted D1 State Meet team title. On a shortened timeline during the track season this past spring Kate Sperka ran to a 4th place finish in a competitive Classic Eight Conference 1600 Meter Run (5:14.00) and only two weeks later completed an elite state meet double where she ran the second leg of the 2nd place Muskego 4x800 Meter Relay that finished with a #9 WI all-time performance of 9:13.35 on Day 1 and then individually placed 4th in the 1600 on Day 2 with an impressive time of 5:00.66. GERMANTOWN Senior Sami Stieve is a three-time state meet qualifier who has finished 55th (19:57.0), 26th (19:22.6) and 64th (19:59.2) at each of the last three cross country championships. Stieve was the runner-up at both the 2017 Greater Metro Conference Meet (19:04.1) and the 2016 North Shore Conference Meet (19:04.1) prior to the most recent WIAA conference re-alignment. On the track Sami Stieve is also a two-time conference champion and qualified for the state meet in the 1600 and 3200 Meter distances this past spring. Stieve holds a versatile set of lifetime personal bests at 2:23.46 (800), 5:10.59 (1600), 11:18.21 (3200) and 18:49.4 (5k) and has demonstrated continued progression from freshman year onward. FALLS Senior Kylee Wunschel is a three-time state meet qualifier that improved from a high standard she set with 35th (19:44.7) and 23rd (19:21.1) place finishes as an underclassmen to a 9th (19:00.3) place finish at the D1 State Meet last year as a junior. Wunschel was the 3rd place finisher (19:06.51) in the Greater Metro Conference Meet last season behind University of Notre Dame freshman Meghan Scott (DSHA) and senior-to-be Germantown's Sami Stieve whom she later beat at state. She is the 5th returnee in the Division 1 field this year, a three-time all Greater Metro Conference first-team selection and holds a lifetime personal best of 18:34.7 in the cross country 5k. In the spring Kylee Wunschel has worn the number 19 uniform as a forward-midfielder for the varsity Menomonee Falls soccer team each of the past three seasons and has been long affiliated with the Milwaukee Kickers select soccer programs. Muskego looks pretty good, eh? You know, I just don’t see it. I think they are primed for more of a let down. They’re a young team with not a lot of experience (besides Jochims). And for them, there is a lot of pressure and more questions marks than anything. 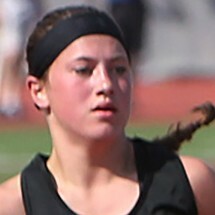 Sperka- yes she had a great end to her track season…but where was she for the first 2 months of track? That really speaks to her durability…will she be able to make to the end of the xc season? Jochims- I concede here, she’s the stud of the group. I think she continues to dominate the MKE area. Felton- she didn’t have a very good track season at all…maybe an one season wonder? The team I see making a huge step is Waukesha West, yes they lose their final Langer but they are due for another huge recruiting class. They draw from a massive area and I am sure Coach Ramsey is not happy about losing to such an inferior school in Muskego. I predict that West will regain their dominance in the Classic 8. What is your deal? What did Coach Rainey or the Muskego girls team do to piss you off? My kid has run against Jochims and company since 6th grade and you could see what kind of team Muskego was building along the way. As a parent, I’d be ecstatic if my kid ran for Rainey. He seems very engaged and motivates them from what I have observed. I’ve read enough of your comments over the years to realize you know your stuff. Calling Muskego inferior is a cheap shot. Having a state qualifying team with a large number of returnees is definitely significant to a team’s repertoire however not every sectional is equal with competition and thus the system doesn’t always qualify the best teams through. This is why it is important to assess the conference, sectional and in-season results too. The WIAA system made way for two teams that beat Arrowhead at sectionals last year after the Warhawks demonstrated the in-season strength to be ranked as high as third in the state. Oconomowoc is another team that returns a lot but was displaced from a 2017 state meet berth due to the powerful D1 Beloit Memorial alignment in the current system. While they put four under 17-minutes averaging 16:52.4 per man to edge out traditional state powerhouse Madison La Follette 84-87 Oconomowoc didn’t have enough to defeat eventual 4th and 5th place state teams Sun Prairie and Monona Grove to qualify. Despite neither team qualifying for state last season these are the top two teams returning in all of Greater Milwaukee. It is also hard justifying a 3rd position in the rankings for Whitefish Bay without mentioning conference rival West Bend West because overall WBW is arguably the deepest program in the NSC. However, both West Bend West and Whitefish Bay might struggle to beat Slinger in the immediate North Shore Conference meet setting as Slinger has six back with state meet experience but they need some lower-point front-running threats to matter at the state level which is where Whitefish Bay and Germantown get the nod in this outlook. Girls team rankings are a bit more clear cut with Muskego currently holding the captain’s mantle and Waukesha West an increment faster than a similarly structured Whitefish Bay team dynamic across the board. Pewaukee returns six and has the conference champion JV squad to fall back on. 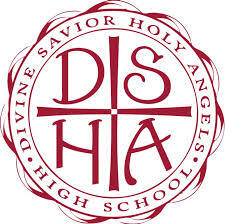 DSHA lost a lot but has a strong nucleus of four back while Slinger has the front-running ability and the overall returning numbers showing they can improve a lot on their 17th place finish from last season. Beaver Dam and Menomonee Falls bring back solid rosters as well while teams such as Arrowhead, Brookfield Central, Brookfield East, Kettle Moraine and Waukesha South all have core groups back that can potentially reload this season. Ok- I think you took me a little wrong here. I didn’t mean to say that Muskego is inferior in the sense that they are a bad team… I am sure Coach Raney does a fine job…but if you look at the history that Waukesha West has produced AND the fact that they beat Muskego pretty easily reas late as the Eagle Invite last year. If I were Waukesha West I would really like to have a little payback for how my season ended last year. Muskego is clearly the currently top team in the for now, but the point of my post was to simply say that they are not invincible. There are a lot of great underrated teams out there. Many that @zen highlighted in his amazing post. I am sure that Coach Raney would appreciate the kind words you have for him @knighttime. A parent saying they would be happy to have someone coach their child is a tremendous compliment. I have also read your posts over the years and I also have a great amount of respect for your assessment! Let’s talk about Slinger you hoots! And the girls really have two really promising front runners – one that runs 2:15 and the other 5:11 – with nearly everyone back too. Should Slinger be higher in either case? I agree with knighttime. To much negativity in your tone and treating the runners like horse racing stock. These are people and kids if you didn’t check so lighten up and be positive and maybe not quite so truthful in your analysis. Let the kids determine their fate ok. Some marvelous athletes here for sure. This is about as good of a mix up as you can have early on. They all have their own strengths and storylines going. Wellenstein when compared to Blake Boles is in the running for a 9:35-ish track PR just one result short of doing so. Might have a chip on his shoulder with something to prove. Dyer was quite good at the end of track and my gut instinct says this kid can run 15:44-46 at the Ridges in November. When I get to Holmes I think this is a potential darkhorse like what I thought of Fellman two years back. Holmes is super talented and I feel at an interphase of his career currently where one of these times out he’ll have suddenly figured out the next level and it will be a new runner that makes sense from the strong runner we now know. I realize that predicting girls results can be difficult. Some girls peak early and are not as good as they get older. Also, stud freshmen can come in and shake up the anticipated order of things. All that being said, I have not seen that kind of drop off from Muskego, nor do I expect to. My understanding is that Sperka was injured at the beginning of the track season, but she appeared to rebound fine and finished at state about where you would expect her to; with Jochims and behind Sippy. I remember making this same statement last year: if Muskego’s top 3 are in the top 10, it will take an incredible effort to beat them. Sure, if Muskego runs bad, West, and I imagine other teams, can beat them. However, based on the physical talent of the returning runners on these teams, I would say that coming into the season Muskego is definitely the better team. Hi Zen…I took a peek at the Slinger girls state performance last October and they are bringing 6 out of their 7 back. It looks as though Groves and Fassbender are solid frontrunners for a team that should come out of the Manitowoc sectional (with Beaver Dam). They had a decent #3 who was a freshman last year (Kurth) and if she can get herself up with their top 2, then I think they could make some noise. For now, I think they are ranked fairly. Don’t sleep on Arrowhead either! They showed some great potential in track last season. I am sure they are a team that have a lot of pride in their program…they might not have a top 20 scorer BUT they will have a very good pack. The Ramsey situation at West has always been an interesting one. He definitely was the North coach for a number of years before West opened (~1993). If I remember correctly Matt Ramsey (his son) and Dan Martin were close in age but Dan continued on to North whereas Matt Ramsey (1:57-type) helped start West. Where the Dan Martin part twists this story more is that his brother Chris went to West and is their school record holder in the 1600. What continues to perplex me is how a district built a new school up to be “cutting edge” 1993-2000 while the previous two schools South and North were maintained at a relatively normal rate. It just feels disproportionate even as an observer. This must have pushed PTA super parents in the North-South districts to fear their kids missing out on educational opportunities. Which governing association can allow for open-enrollment – is it the WIAA or more of a DPI approved policy? Strangely when I briefly toured the new Muskego HS some years back it reminded me immediately of how I felt when I first saw Waukesha West. West was like a cloud of modernity. What would be very interesting to see is a timeline of enrollment numbers for all four Waukesha schools - North, South, West and CMH. It would be interesting to look at boys and girls soccer team WIN-LOSS trends for CMH 1985 to 2018 to see if the waves of athleticism shift with the West enrollment patterns. As a hypothesis I think that a main causality in the decline of CMH enrollment – an assumption itself – partly has to do with an incentive for Waukesha families to send their kids to the brand new West HS as of 1993. The incentive was lower tuition than the private rate, public funded facilities and semi-public wealth to attract top educators. @zen As someone who grew up in Waukesha, I feel you are on the right track with a lot of your points. If I remember correctly, when West opened there was a year (or perhaps two year) grace period, where anyone from the other Waukesha schools could go there, until the school settled in and only took kids from that district. It was quite controversial at the time, and you are correct, the West team that won state in 1993 was pretty much the same group who had won the title for North in 1992. As you also stated, West is the newest, most modern, and “nicest” of the Waukesha schools, and there may be a certain amount of pressure to get your child in there. Obviously South is the oldest and most dilapidated of the schools, but I do feel that South alumni have the most pride in their school and what they were able to accomplish without brand spanking new facilities. North was the “good” school until West opened. And it’s weird. People I know who graduated from North in the 90s and early 2000s have this almost defeatist attitude, like they are now the “white trash” school or something. What about Alex Mielke of Lake Country Lutheran? Modest cross country 5k PR of 16:50.5 but demonstrated 1:59.90-4:23.33 foot speed this spring. I have not looked at his career closely but if he made a big improvement last winter then we havent seen his 5k best yet. Recap: Jared Denk Wisconsin Lutheran is the #2 area runner returning and Arrowhead is the #1 team. Blatantly obvious that there is an inner circle that traps Mark Stewart’s column and unfortunately it undercuts the kids who are deserving. Jared Denk is a quality athlete at 4:30/9:54 but I would throw Gavin Kuhlenbeck or Henry Wellenstein at Jared Denk right now and see where things stand individually. I hope people uniformly agree Ben Schnoor has attained a level of superiority in the Milwaukee area. He has demonstrated the ability to be a regional elite since progressing against the all-time underclassmen lists. He also ran 9:18 as a sophomore which is really, really good. I feel for some of the names I know I didnt see on there that deserved to be in place of the others who earned unwarranted spots. Didnt see the girls because my viewing limit was up.